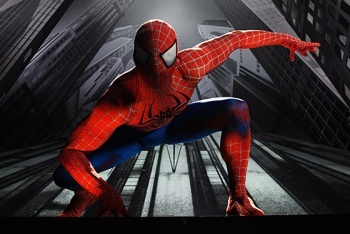 Spider-Man's theatrical debut is apparently one of the worst musicals ever made. The accident-prone and oft-delayed Spider-Man musical, Spider-Man: Turn Off the Dark, may be the most expensive show ever to hit Broadway, but that hasn't saved it from a critical mauling. Theater critics seemed to dislike the show so much that they broke with tradition and published their reviews ahead of the show's opening in March. Some critics felt that the show was incredibly inconsistent, with flashes of brilliance rubbing shoulders with absolute dross. The New York magazine described the show as "ridiculously slick, shockingly clumsy, unmistakably monomaniacal and clinically bipolar," while the New York Post called it "equal parts exciting and atrocious." Unfortunately - for the production at least - other critics were less impressed. The Washington Post summed up its feelings with a sound bite worthy of its own t-shirt, saying, "If you're going to spend $65 million and not end up with the best musical of all time, I suppose there's a perverse distinction in being one of the worst." Rick Miramontez, a spokesperson for the production, said the decision by critics to publish their reviews early was "unprecedented and UNCOOL[sic]." It's worth mentioning, however, that the date that many of the reviews went up, February 7th, was actually when the show was supposed to open, before the most recent delay. It's not clear what effect these reviews will have on the production though, as previews of the show are selling out, and even overtaking established - not to mention finished shows - like Wicked. As strange as it seems, Turn Off the Dark may turn into the Transformers of Broadway: a production that critics hate, but audience love.